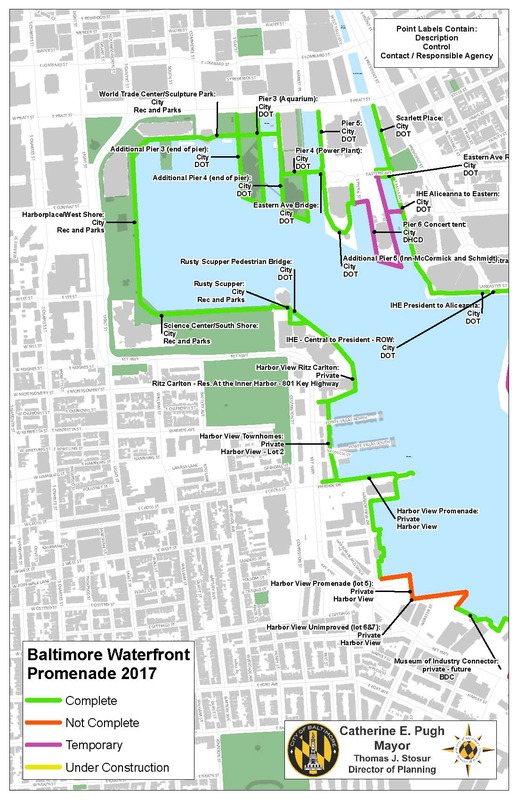 Baltimore’s Waterfront Promenade represents a unique public and private partnership that has ensured public access to the city’s most cherished natural asset – its harbor. It is a public pedestrian walkway/shared use bicycle path that functions as a waterfront sidewalk for development sites and public spaces that have emerged from the former industrial waterfront. 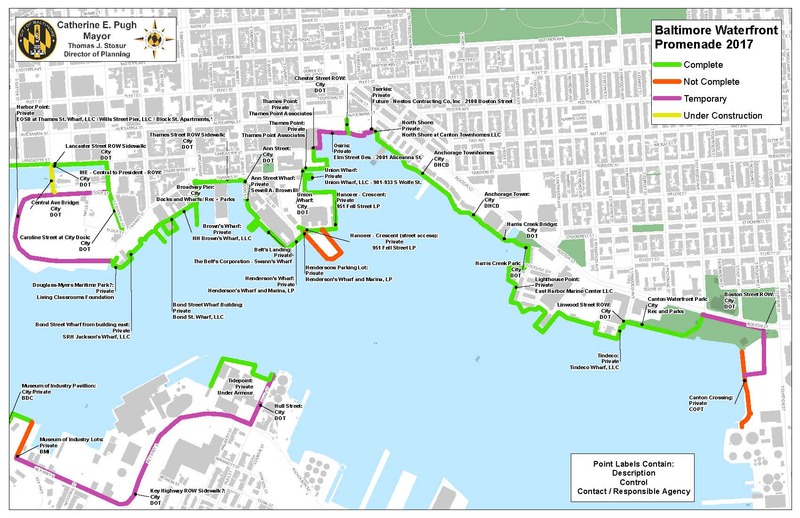 The concept of the eight-mile promenade was established in the 1960’s as a key component in the Inner Harbor Master Plan – a visionary plan that proposed massive redevelopment of land adjacent to the historic harbor that was the basis for the founding of Baltimore in 1729. The current promenade represents a mixture of public and privately owned land. 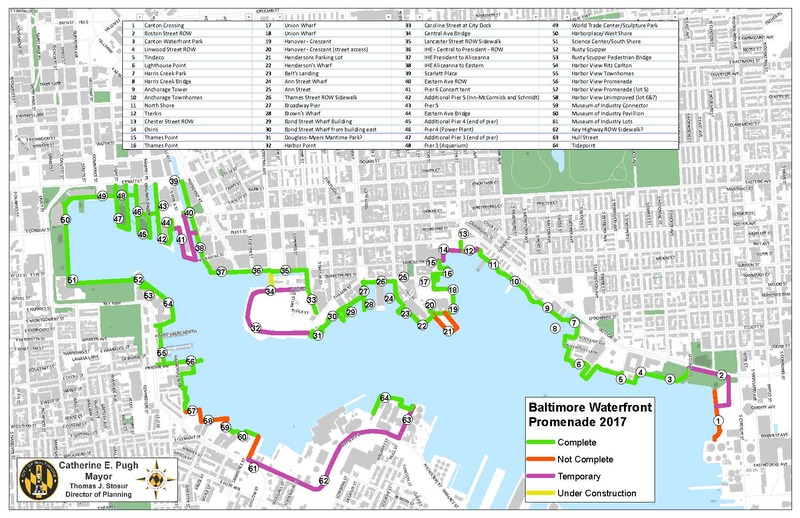 The information on this page will assist in identifying the status of a specific portion or promenade and whether it is owned and managed by the City of Baltimore or a private entity. The following maps provide a quick reference tool to assist in identifying this ownership information. All complete portions that are privately owned have a corresponding Promenade Easement agreement which outlines the public access the responsibilities of each party involved.